The ultimate comfort food, pastas are popular among Singapore diners because there are so many ways to prepare it that it’s possible to please just about anyone. It’s no wonder we can find many Italian – and non-Italian – restaurants in Singapore that serve up a great plate of pasta. Let us guess – you’re now at your desktop or phone wondering which pasta restaurant you haven’t visited yet that can satisfy your pasta craving. Well, you’re n the right article and we’re hear to help you out. Here are 17 of the best pasta restaurants in Singapore for you to pick from, be it something homey and delicious, or if you want to class it up to the tens a la Michelin Star fancy eats, if you’re wondering what – and where to eat. Don’t be fooled by its rather simple, laid-back layout – it is anything but that – La Strata serves absolute bomb pasta that’ll knock your socks off. 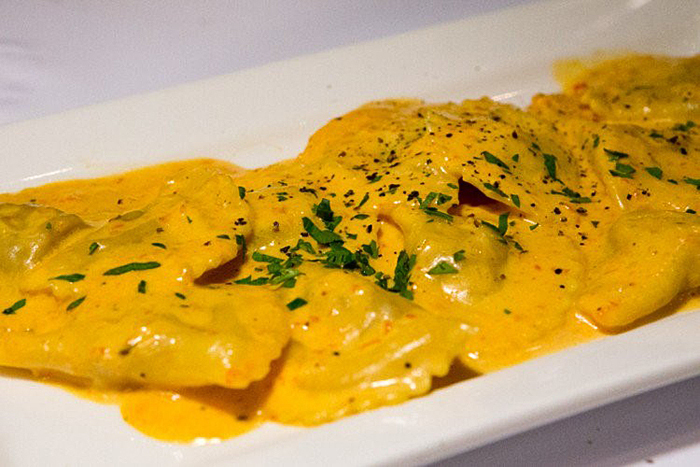 Must-tries in La Strata would be their Chitarra Alla Carbonara. This carbonara-style dish is cooked with the chitarra pasta, a type of noodles that is thinner than your average spaghetti, comparable to our own local mee-Kia, in thinness. You might be thinking to yourself, carbonara? Boring! But this is anything but – apart from the different type of noodle used that you’d not really see in other local eateries in Singapore, it is also cooked with truffle butter, alongside a slow-cooked egg so you can crack the yolk all over your creamy carbonara for a decadent, sinful indulgence. Another must-try is their Vongole, served with mussels, clams and all that seafood goodness, mixed with punchy herbs, chili flakes, and garlic to top it all off. P.S. Their tiramisu is apparently pretty delicious too, according to reviewers, who said that it has the perfect balance of coffee flavour and light cream. 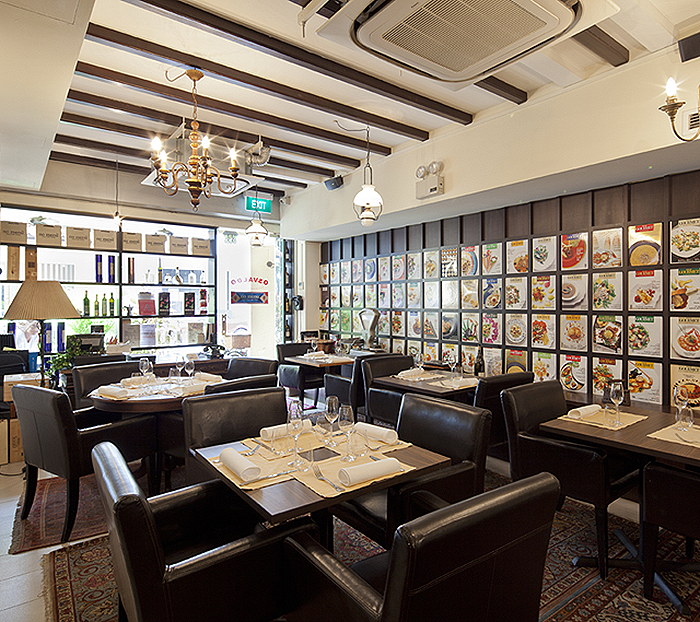 Price range: They offer a three-course set meal for SGD 42 during lunch time. The menu can be found online here and here. Nestled in Bukit Timah, this homely joint serves up true-blue, hearty, authentic Italian fare, for those on the prowl for comfort food. True to their cosy, down-to-earth ambience, Capri Trattoria and Pizzeria make their own pastas to ensure quality and authentic taste. 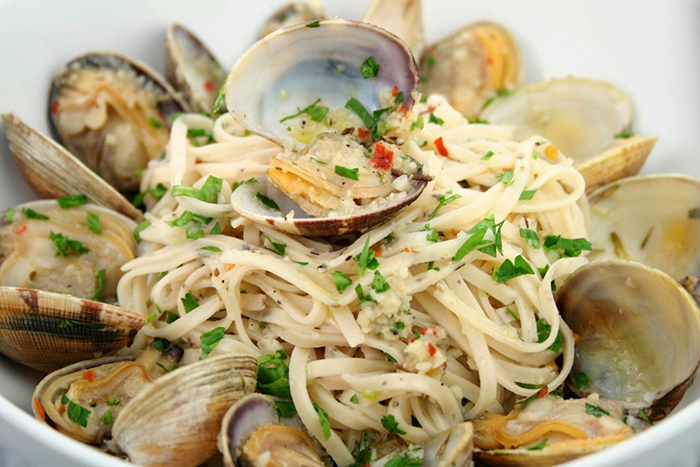 Must-tries would be their Scialatielli di Capri (SGD 25), a spicy, tangy, tomato-based pasta with seafoods, sprinkled with herbs to give it a fresh taste. 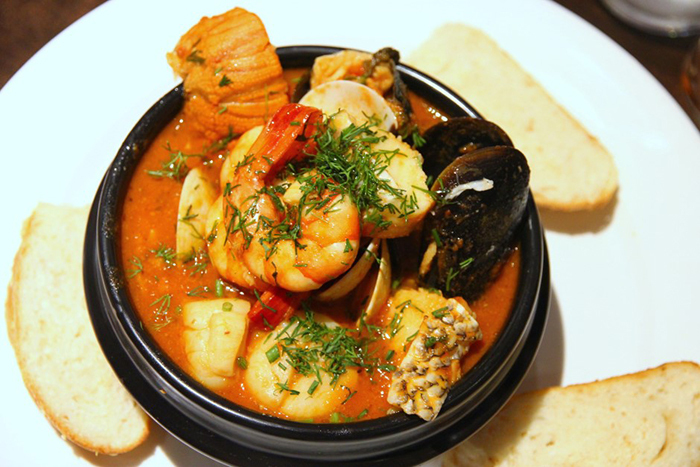 While not a pasta, another must-try would be their Cacciucco alla Livornese (SGD 28), a rich, traditional tomato-based seafood stew from Tuscany served with a huge array of seafood – mussels, shelled prawns, squid, clams, crayfish, and cod – the perfect hearty meal on a rainy day, or for those who want to try authentic Italian fare not commonly found in other local restaurants. P.S. 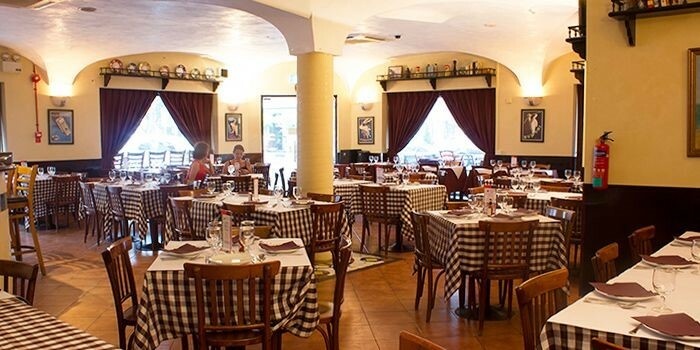 Capri Trattoria and Pizzeria also serves up their own 12-course tasting menu, which changes every month so you’ll never be bored with what they have to offer! Price range: from SGD 20 – SGD 28 for their pastas. View their online menu on their website here. 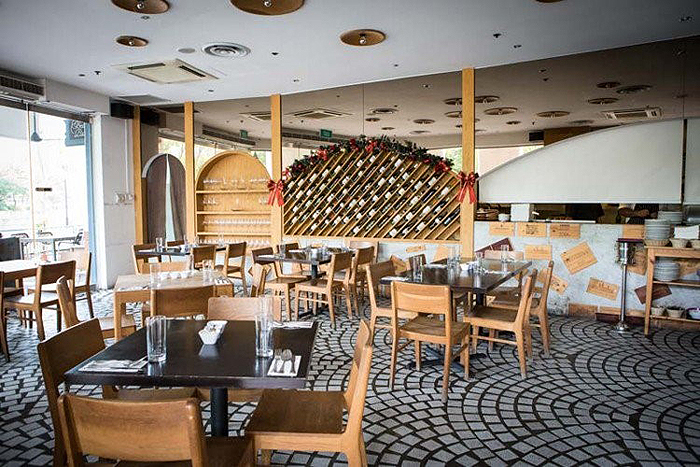 Charming, warm, and cosy-looking with cute checkered table mats covering each table, Al Forno East Coast Italian Restaurant is one of the few Italian restaurants in Singapore that has stood the test of time, since its conception in 1995. It also holds a series of accolades, and even getting the Ospitalita Italiana Seal of Quality, so you can be assured that quality will be what you will getting. Al Forno East Coast Italian Restaurant prides itself on using the freshest ingredients, and in creating the most authentic flavours. 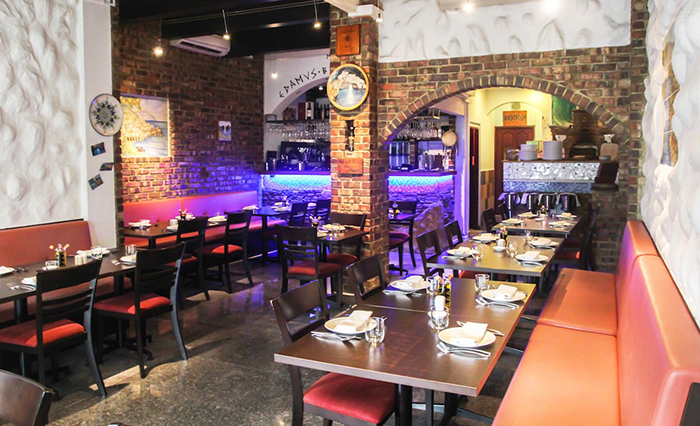 Everything is imported from Italy so that diners can get a true taste of Italian cuisine. 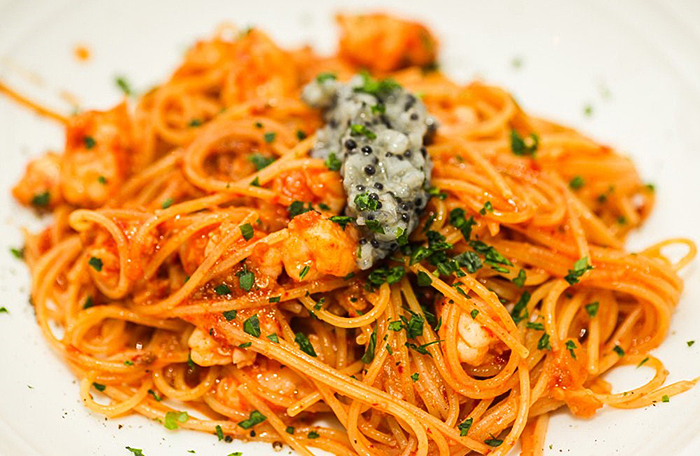 A must-try has to be their house favourite, Linguine All’ Aragosta (SGD 36), a Boston Lobster Linguine featuring salty capers, olives, and a sweet red sauce made from the fresh Italian cherry tomatoes. Add a dash of chili for that kick that Singaporeans absolutely lap up. For the more adventurous, how about some Gnocchi (SGD 25)? Gnocchi is a potato dumpling, served with sauce – a classic Italian fare not so commonly seen in Singapore. In Al Forno East Coast Italian Restaurant, diners are allowed to choose between four sauces – a four-cheese sauce, mozzarella cheese and tomato sauce, or a nutty pesto sauce. P.S. There’re also vegetarian options here, so bring along your vegetarian friends for a good time! Price range: from SGD 22 – SGD 28 for pastas. For more details, check out their online menu here. Literally translating to Cheese and Pepper, Cacio e Pepe is a restaurant that pays homage to the two ingredients that pair well together. 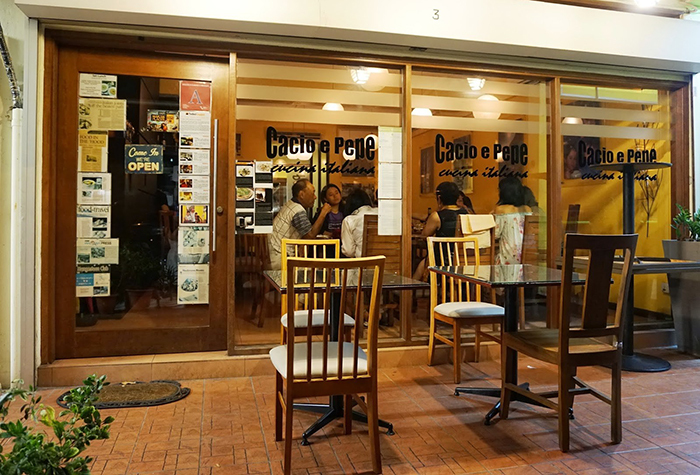 Touted as a hidden gem by many reviewers on HungryGoWhere, Cacio e Pepe is indeed one, in that its homely restaurant is not swarmed with customers, yet serves delicious, scrumptious Italian pastas worth calorie gains. 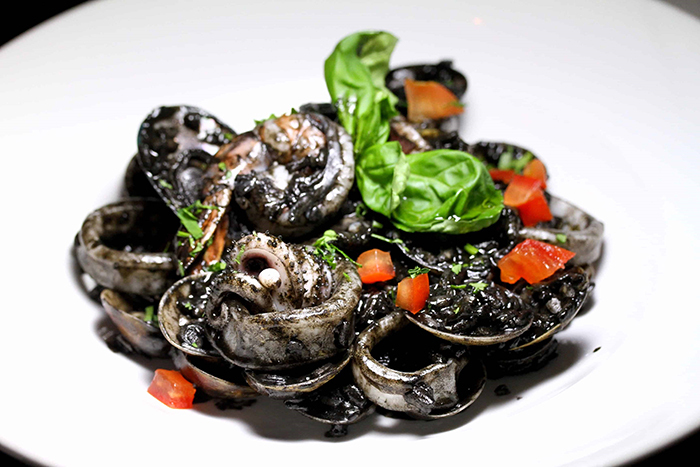 Must-tries include their Squid Ink Pasta (SGD 20) – although rather regular looking in appearance, has very punchy flavours. 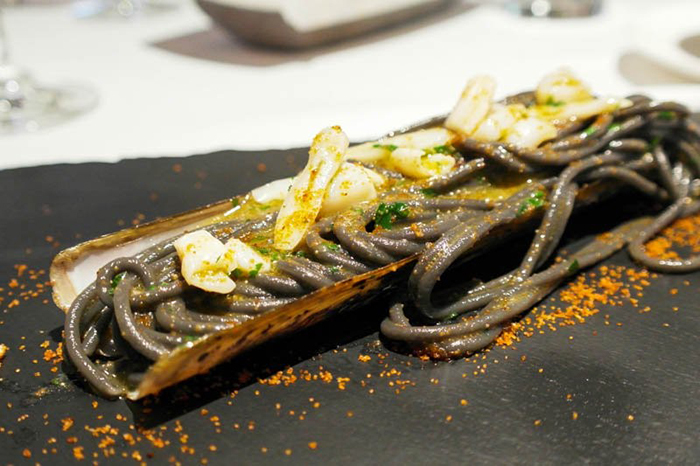 From the delectable taste of the Squid Ink, to the al dente texture of the spaghetti and the lingering taste of shellfish, we are certain it would send squid-ink lovers (and maybe non squid-ink lovers too) in their own squid-ink paradise. 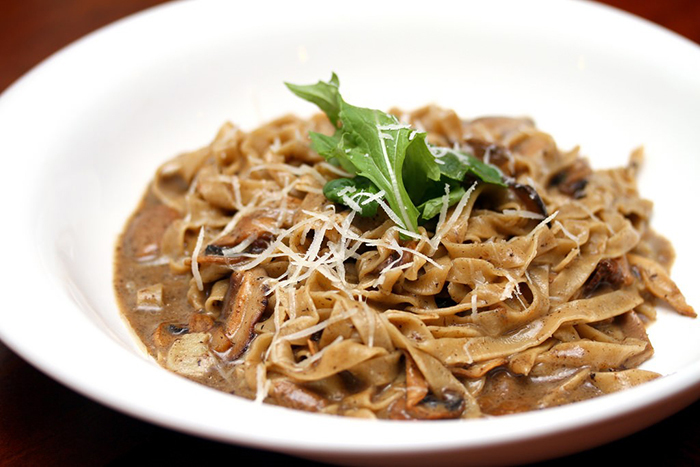 Another must-try would be their Tagliatelle al Tartufo (SGD 24), which is a home-made egg pasta with a truffle cream sauce. Yes, that’s right – truffle cream sauce. Truffle lovers – you know where to get your fix at. Plus, complimentary bread is also served in this restaurant while you’re waiting for your mains, with a side of olive oil to dip with. Price range: Pastas go from SGD 16 – SGD 25. Their online menu can be viewed here. Featuring a bold, dark, mahogany wood panelled interior, this is a great place for a date. 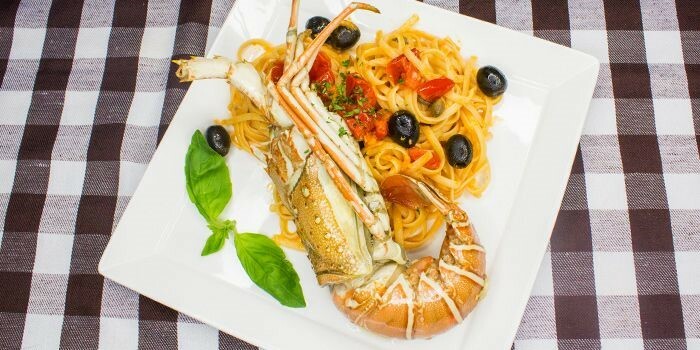 Another restaurant with over 20 years of history in Singapore, you can be guaranteed to get quality Italian food, because as we know – Singaporeans can be real picky eaters. 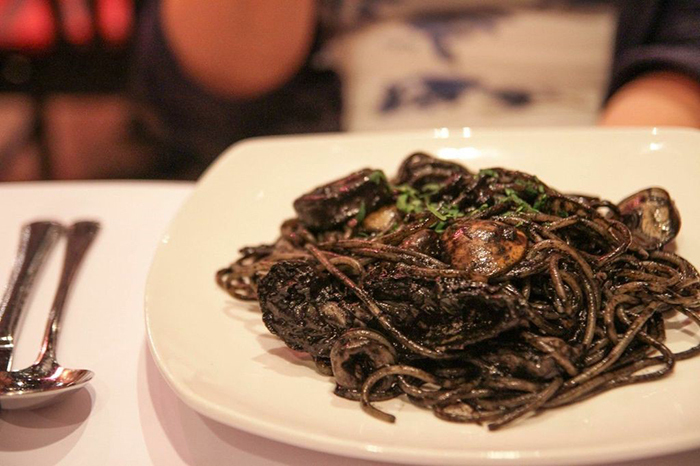 When you visit, try their Spaghetti Della Pescatrice (SGD 26.50), a squid-ink pasta, which has generous helpings of seafood including crayfish – and not just squid. You should also try their Mezzelune Ripiene Di Zucca (SGD 26), a ravioli filled with mashed pumpkin and drenched with a light but creamy capsicum sauce. FYI, while waiting for your delish pasta to arrive, there’re also multi-coloured chalk provided to diners to draw on the white table place mats – so put away your phone, release the inner child in you, and get drawing. P.S. There is a chance your chalk-drawing may get hung on the wall, so if you want your presence to be imprinted in Pasta Brava forever (well, or just for a while, at least), then this is your chance to shine. Price range: from SGD 24.50 – SGD 28. For more details, check out their online menu here. 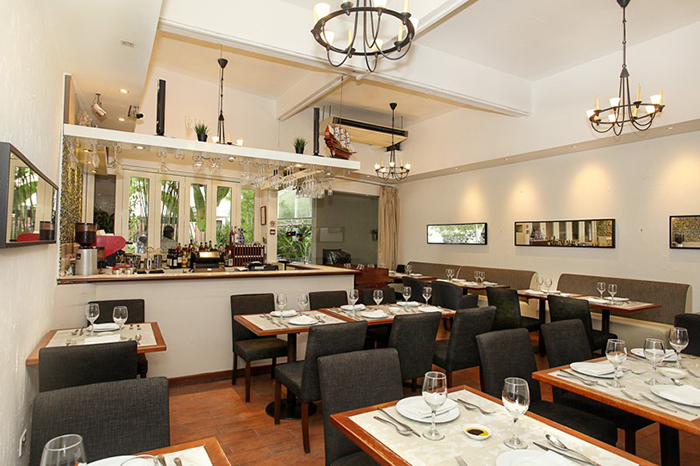 A rather humble-looking restaurant, this is another hidden gem tucked away in Bukit Timah, which specialises in pasta, instead of Italian cuisine as a whole. 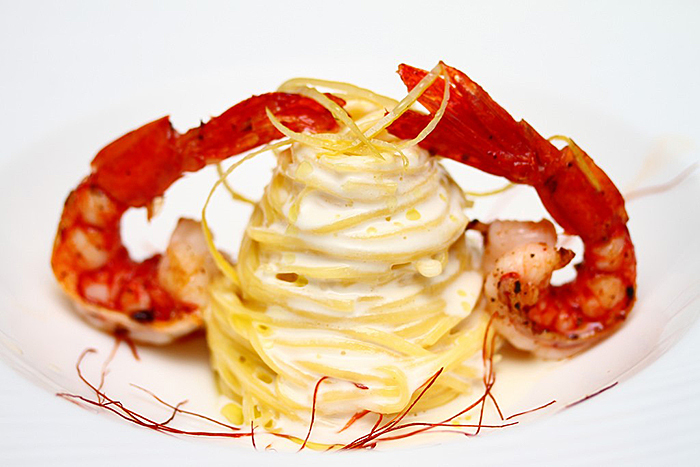 A must-try would definitely be its Capelli d’ Angelo con Salsa d’ Peperoncino (SGD 26), which translates to Angel Hair Pasta with Hot Chilli Peppers. 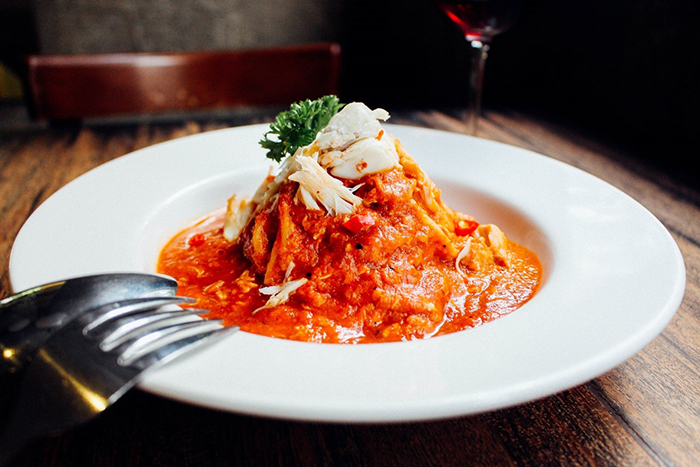 It features a special ingredient called ‘Nduja – a spicy, spreadable pork sausage from Italy made from por, tripe, hot roasted peppers, and a mixture of spices that makes this truly a unique eat. However, be warned that the level of heat isn’t for the faint of heart, so for those who can’t take spicy food – tread carefully. Price range: from SGD 19 – SGD 36. For more details, check out their online menu here. Named as one of Asia’s top 50 restaurants, you can be assured that the food is the absolute crème the la crème of Italian cuisine – this is the place you want to bring a date to if you want to impress. 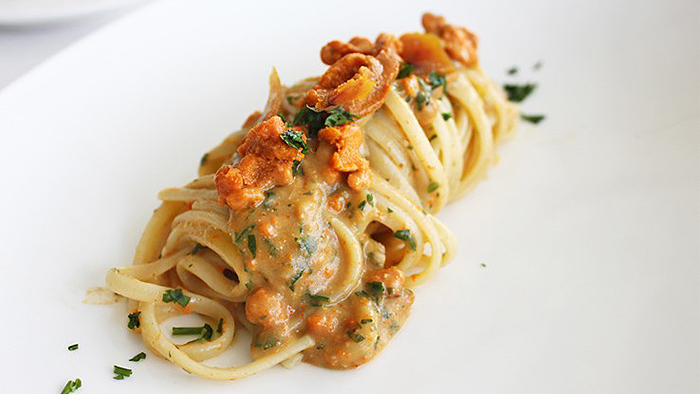 Reviewers recommend their Farfelle (SGD 23), which sounds fairly modest and simple on the menu, a fare of wild mushrooms, asparagus, and walnuts, but is much more complex when combined together – the smooth, silky mushrooms and asparagus pair well with the al dente pasta, with the walnuts giving an unexpected nutty finish. Truly, a testament of the standard at Osteria Mozza as one of Singapore – and Asia’s – top restaurants – of how simple ingredients, when paired together can create a pretty perfect-tasting dish. Note that the brunch menu and the dinner menu differ! Price range: from SGD 22 – SGD 26. For more details, check out the menu here. 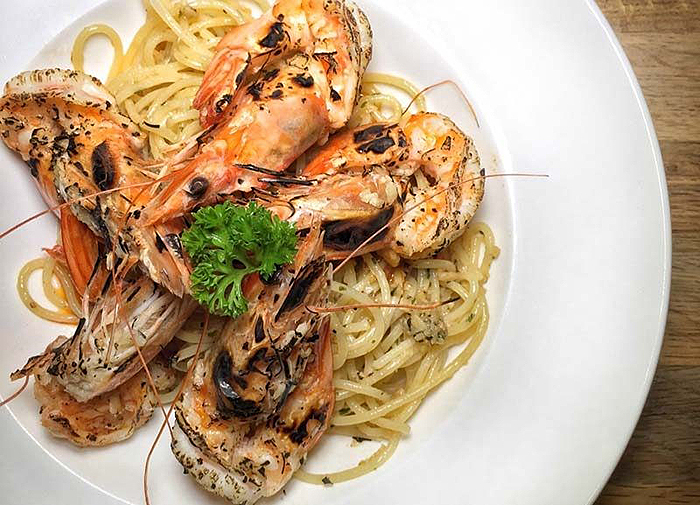 With their aglio olio starting from SGD 7, and an option to top up ingredients at a small cost, The Wicked Garlic shows that having authentic Italian fare can be wallet-friendly, yet oh-so-delish. Constantly packed with office workers in Clifford Centre, thanks to its affordable prices, starting at SGD 7 for aglio olio and daily set meals at SGD 14, it is no wonder The Wicked Garlic sees as many customers as it does, on a day-to-day basis. 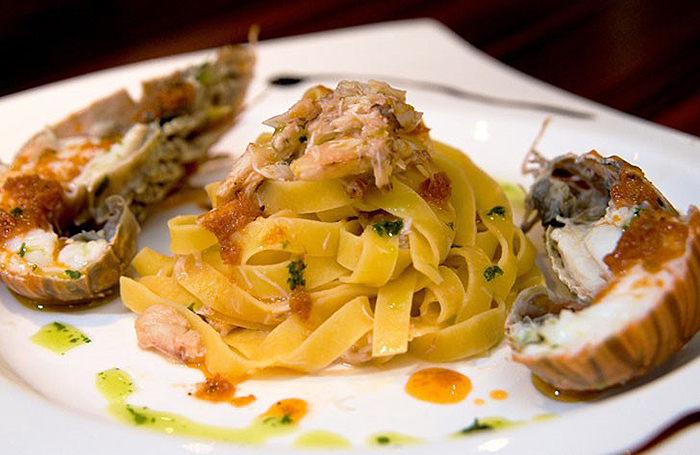 Their 10” pastas are all handmade too so if you want a true-blue authentic Italian fare – get it at just SGD 9! 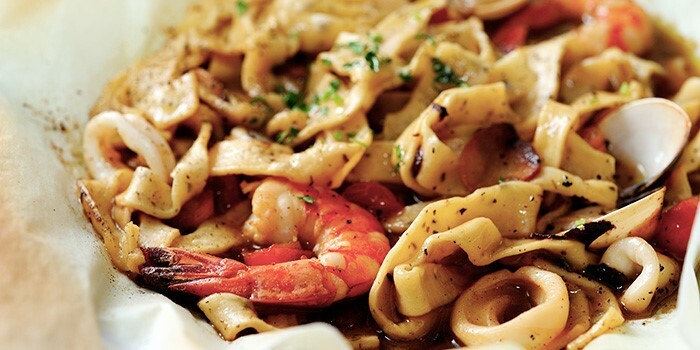 That being said, its flavours have been localised overtime, featuring lots of fresh seafoods, garlic, and chili flavours, and softer noodles – if you’re not a fan of that, you could always request for a true Italiano style with al-dente noodles. Portions are also pretty generous so if you have a smaller appetite and looking to save money – share with your colleagues at half the price! Price range: from SGD 7 – SGD 22. Menu unavailable online, but you can check out their main Facebook page here. Opening hours: Timings differ from outlet to outlet. Check it out here. Telephone: Check out the different telephone lines for each outlet here. 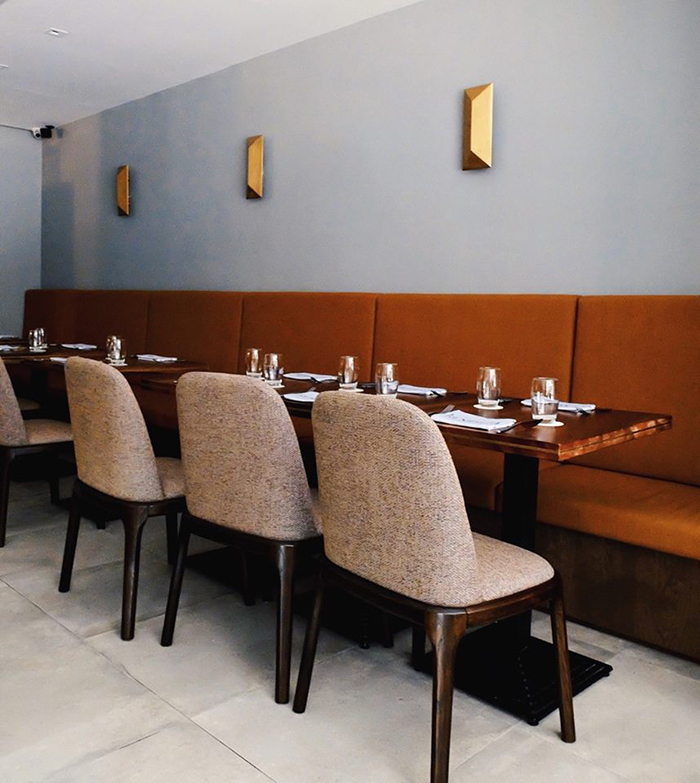 With its name bearing a resemblance to our local no signboard restaurants, No Menu Restaurant is something reminiscent of that – it is a family-owned establishment that serves up scrumptious, no-frills Italian fare, and needs no fancy introduction with an embellished menu. What No Menu doesn’t have in presentation – since the chef believes in simplicity, with no fancy equipment or garnishing – it makes up tenfold in flavour, that keeps customers coming back for more. Must-tries? 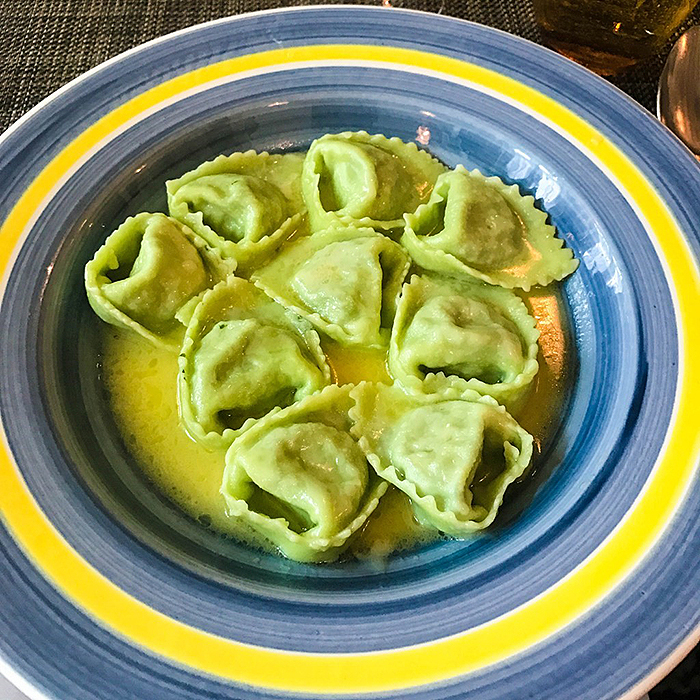 Its Spinach and Ricotta Tortellini (SGD 34), with butter, sage and parmigiano – which, while technically vegetarian, will have you feeling fulfilled thanks to the amazing filling. The herbal taste of sage will balance out the creamy taste. Side note: not to worry, No Menu Restaurant actually does have an actual menu for you to refer to when you get there. That being said, certain daily specials (that the waiters will inform you before you make your order!) will not be in it, in true no-menu style. Price range: from SGD 34 – SGD 38. Menu unavailable online. Rather homey and welcoming, it attracts a large office crowd during its weekday lunch hours because of its 1-for-1 promotion, which makes it easily one of the cheaper places to get authentic Italian fare, with a more localised taste. For those who prefer slightly softer noodles compared to the European standard of al dente, or firm noodles, this is for you. Expect to see some creative pastas here such as their Homemade 4 mushroom with Truffle Pasta (SGD 30), for the truffle-lovers out there, a home creation by the chef himself. 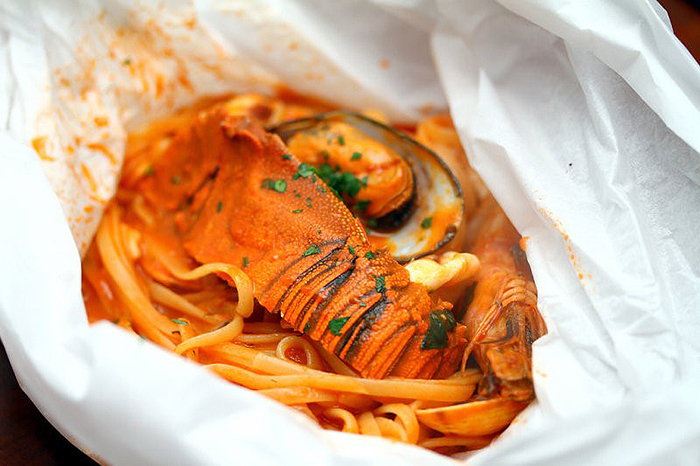 There’re also other more classic eats like their Linguine al Cartoccio (SGD 26), an assorted seafood pasta with chili and other spices, baked in parchment paper that is sure to cater to those who love bold, punchy flavours with a spicy kick. Price range: Prices unavailable online. The menu can be viewed on their home page. This restaurant may have a rather intimidating, high-end sort of ambience. With its white table cloths adorning every surface, it exudes the sophistication of fine dining. Buona Terra is very different from the pasta restaurants on our list as it is strictly a 3-course meal – one appetiser, one main (either pasta or meats), and one dessert to end it off, with no a la carte options available for order. You could also pick up to an 8-course meal if you so please, to fully experience what Buona Terra has to offer. Special mentions go to their Squid Ink Tonnarelli with bamboo clams and bottarga, served in a half-broken bamboo shoot, not too unlike our own local steamed bamboo clams, served with garlic and chili, at zichar stalls. By the way, last food order is at 10pm, if you’re thinking about going for a late meal. 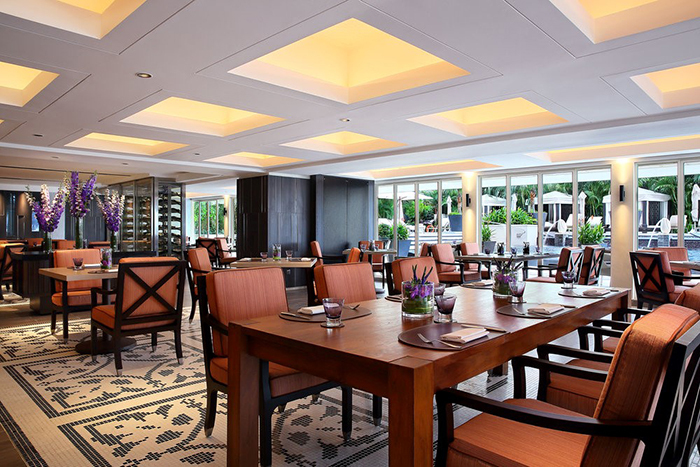 Price range: From SGD 38 for a 3-course meal and up to SGD 128 for a 5-course degustation meal, during lunch hours. For their online menu, check it out here. Covered in wooden panels, bright white walls and plenty of windows, overlooking the poolside, Dolce Vita truly captures the rustic ambience and Mediterranean charm of Italy, exuding an earthy yet sophisticated vibe. Dolce Vita prides itself in being authentically Italian, but with a few modern twists here and there, showing that authenticity doesn’t always have to be staunchly rigid. 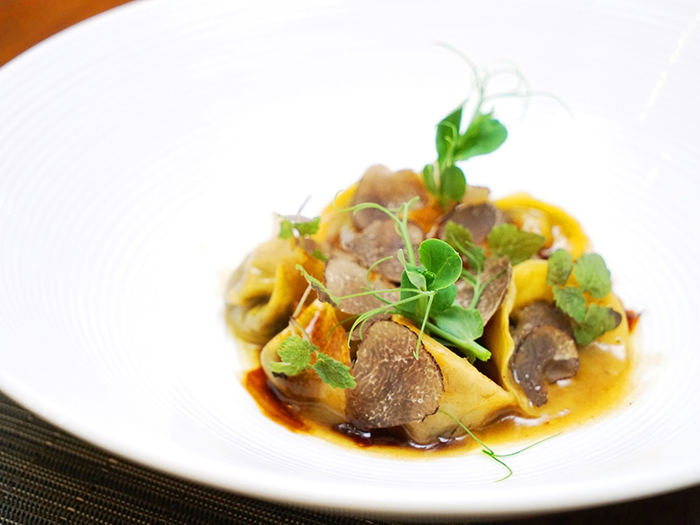 A tantalising must-try would be its Piedmont-style Braised Beef Tortellini (SGD 32), topped with generous portions of black truffle slices, and chestnut, for a truly unique flavour combination. Remember to scoop up the sauce with the tortellini to get every delicious drop out of the bowl! Another must-try would be their Daily Fresh-Made Pasta Special, which, following its namesake, changes by the day, based on whatever ingredients are currently in season. 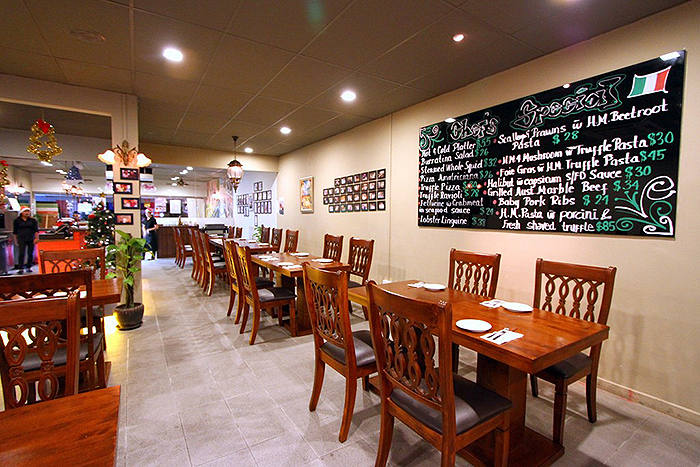 Price range: from SGD 30 – SGD 48, for a la carte meals, SGD 88 for a 3-course meal. Menu unavailable online. Not a place you think would serve Italian fare like pasta from its name, but Nassim Hill Bakery Bistro Bar, while serving mostly baked goods, also serves a pretty mean Chili Crab Pasta (SGD 25) that have the reviewers on HungryGoWhere raving about, amongst other Singaporean-fusion flavours like its Dry Laksa Pasta (SGD 26), a new addition on the menu. It has huge, plump chunks of actual crab meat in it, plus a generous helping of chili padi catered for spicy lovers to come back for more of its punchy, bold fusion flavours. In true Singaporean style, fried mantou are also complimentary to mop up the rest of the sauce! Price range: Small portions go from SGD 16, medium-sized portions go from SGD 21 and up. Check out their homepage to view their online menu. Fratini La Trattoria is an Italian restaurant that prides itself on using only the freshest Italian ingredients in season omakase-style – this means that their menu is always changing, so for those who hate the repetitive and are always itching for something new – this is the restaurant you’d want to go to. 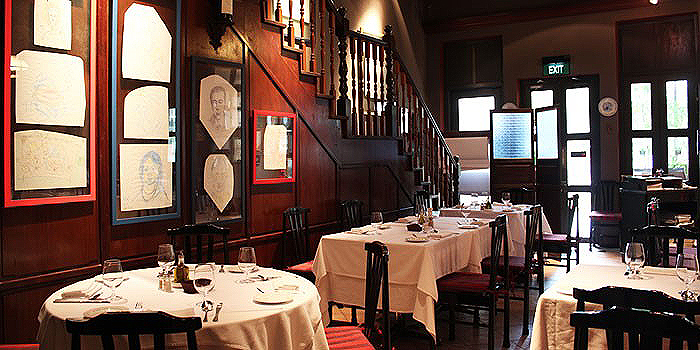 As for recommendations – well, you’ll just have to go to Fratini La Trattoria yourself to see what they have in season! But, if you just have to know what sort of fare you’re getting into – one of their stand-outs would be favourites like their Truffled Pappardelle Creamy Pasta, and their Scallop Tartare with Peach and Sweet Potato Chips (not a pasta, but certainly worth mentioning!) – and that’s just the tip of the ice berg! Price range: SGD 45 for the lunch set on weekdays, and SGD 50 on weekends. Dinner sets go at SGD 90. Menu unavailable online because they change according to the seasonal ingredients they get. View the website here. The sister chain of Pizza Bella, Bella Pasta features cobblestone flooring not unlike the central plazas often seen in Italy, to set you in the mood for some authentic Italian fare. 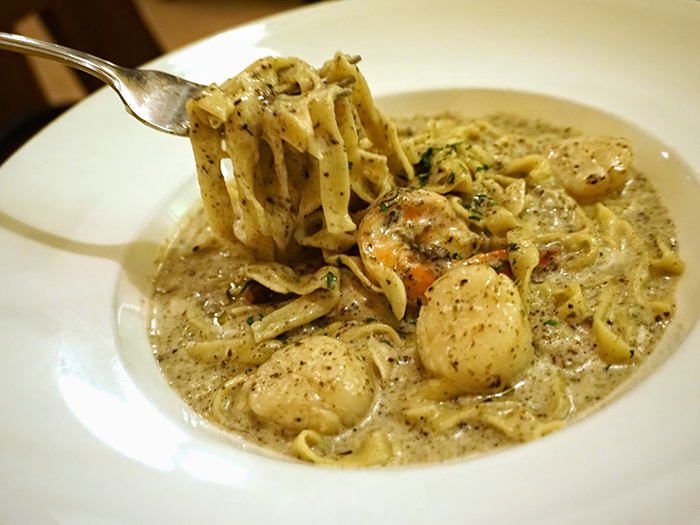 If you’re someone who loves Italian fare without much modification to the local palate – this is the place for you, where pasta is served al-dente, instead of the often modified, softer version that the average Singaporean tends to prefer. For the adventurous, try their Buccatini Pancetta e Fagioli in their set lunch (SGD 25), a thick pasta noodles with kidney beans, pancetta, and a sprinkle of espresso – yes, you heard that right, espresso, as in the coffee – to celebrate the summer flavours of Italy. Price range: From SGD 19 for a la carte pastas, and SGD 25 for their 3-course lunch set, which comes with a soup, main and drink. Check out the menu on their home webpage here. 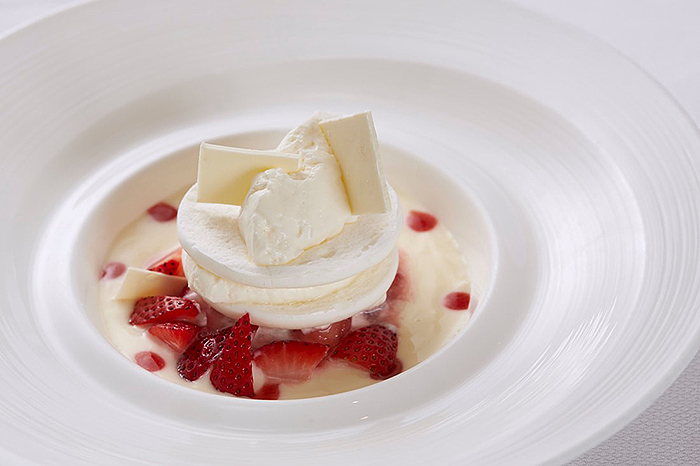 Perched within One Fullerton Hotel and right across one of Singapore’s most iconic views – the Marina Bay Sands – Forlino serves Italian fare injected with Japanese precision to create delicious dishes in a posh-setting, with great views. Worthy mentions would include their Linguine Pasta with Hokkaido Sea Urchin (SGD 38) – which comes in a rich, thick sauce full of fresh, briny flavours of the Sea Urchin, and complemented with yuzu zest, to give it a pop of freshness, without being too overpoweringly creamy. Truly, the best of both worlds of East meets West. 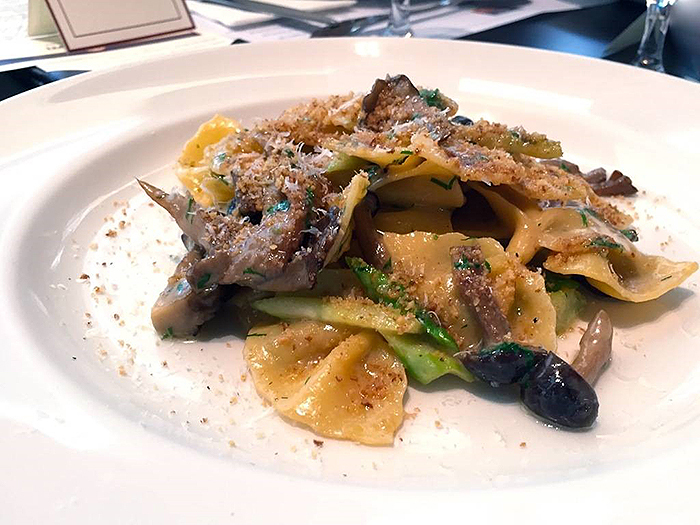 Another dish to try would be their Homemade Pappardelle (SGD 32), ox-tail braised for 12 hours – tender, juicy, and everything you ask for in a good piece of meat, combined with mushrooms, parma ham, hazelnut, for a truly complete and mouthwatering experience. Price range: SGD 28 – SGD 48. The online menu can be viewed here. 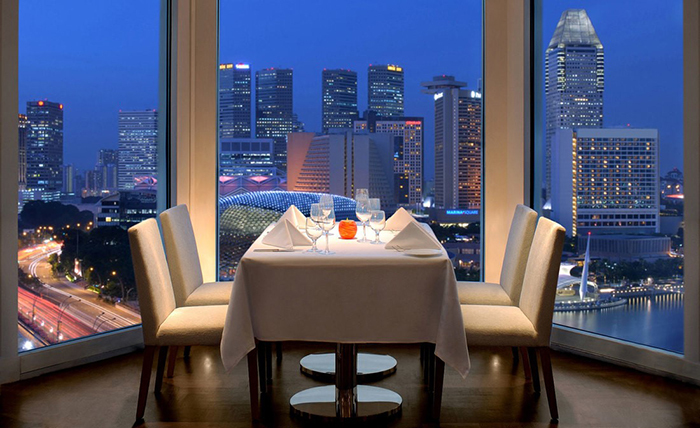 Another restaurant in the Fullerton Hotel, The Lighthouse Restaurant & Rooftop Bar is perched right at the top level. With an unobstructed gorgeous panoramic, view of the Marina Bay Sands, the Singapore Flyer and the Singapore River, this is the perfect place to bring your date if you’re really looking to impress. There are several outstanding items on the menu, but since you’re (clearly) here for the pastas, try out its Homemade Tagliolini (SGD 28), which already wins on presentation alone. It also fares well in terms of flavour, where the lemon flavour in the creamy sauce provides just the right amount of freshness and acidity so you don’t end up feeling like you’re done after just a few mouthfuls. Desserts, although not a type of pasta, are also worth mentioning – both based on its beautiful, artisanal presentation, anyone with a love for desserts would find it irresistible. 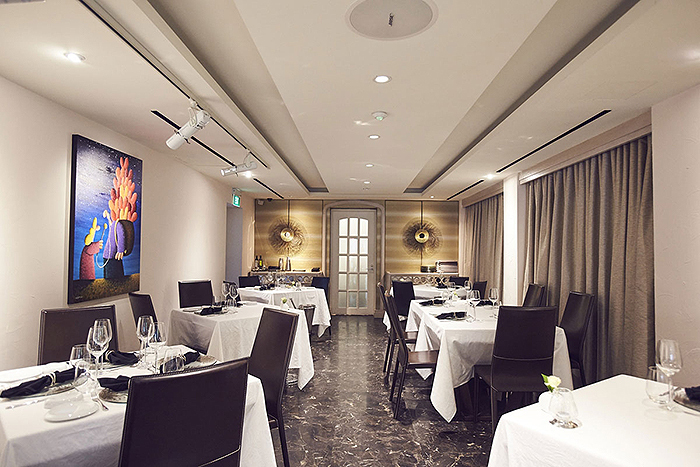 Price range: A 2-course set lunch at The Lighthouse Restaurant goes for SGD 39 per person and a 5-course degustation dinner goes for SGD 128 per person. For more information on their pricing rates, check it out at their home website.